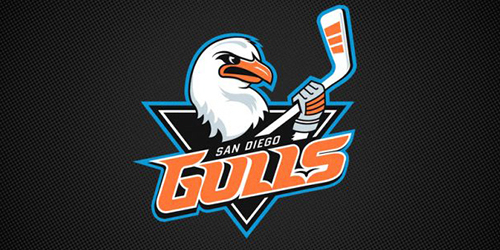 The San Diego Gulls announced today that the American Hockey League (AHL) club will host Fan Appreciation Night this Friday, Apr. 5 at Pechanga Arena San Diego during their contest vs. the Ontario Reign (7 p.m.). All fans in attendance are winners, as they’ll receive a free Gulls prize scratcher upon entry. Every scratch card will have a minimum prize of $5 off Gulls gear at all in-arena merchandise stands (minimum $10 purchase). Random seat locations will be selected throughout the night to win additional Gulls, Anaheim Ducks and sponsor prizes including player autographed items. Other notable prizes that can be won during Fan Appreciation Night, including two Gulls season tickets, a 55″ flat screen TV, $100 Gulls merchandise gift card for in-arena purchases and much more. A group of fans will also be invited onto the ice for a “Jersey Off Their Backs” presentation at the end of the game where they will receive one player’s autographed game-worn jersey from Friday’s game. Fans can also enter to win a pair of tickets to Friday’s game and one guaranteed “Jersey Off Their Backs” prize via a social media contest held on the Gulls Instagram page (@SDGullsAHL). The contest will conclude on Thursday, Apr. 4 at 3 p.m. Fans can assist the San Diego Gulls Foundation prior to Friday’s game by participating in a raffle for a spot in the “Jersey Off Their Backs” ceremony. Raffle tickets are $20 each and can be purchased at the Community Relations table at Section 10 on the concourse. Tickets will be sold through the second intermission and winners will be announced at the beginning of the third period. All proceeds will benefit the San Diego Gulls Foundation. Fans can support the San Diego Gulls Foundation through a silent auction which will be held at the Community Relations table at Section 10 on the concourse. Fans will also have the ability to participate in the auction through an online auction via the DASH Auction app, a digital auction platform. Fans can download the DASH Auction app via iOS or Android devices in the app store and select San Diego Gulls as their favorite team. Fans can also text DASH to 66866 to download the DASH Auction app. 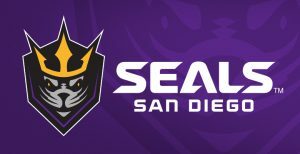 The prize redemption table will be located at Section 10 on the east side of Pechanga Arena San Diego, and a list of the selected winners will be posted there after the announcements are made. For more information on Fan Appreciation Night, please visit SanDiegoGulls.com/FanAppNight. A very limited number of tickets are available through AXS.com/Gulls or by phone at (844) GO-GULLS.